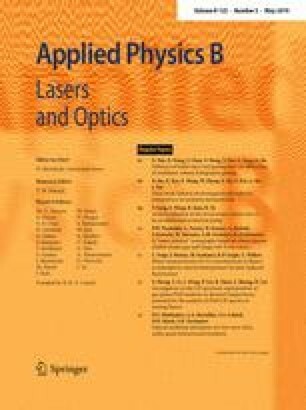 In this paper, based on Kogelnik’s coupled-wave theory and transfer matrix method, we discussed the temporal diffraction properties of multilayer volume holographic gratings under femtosecond pulses readout. Results show that grating layers generate diffracted pulses, with each grating layer diffracting out one sub-pulse, whose waveform is determined only by parameters of the corresponding grating layer. The buffer layers placed on the right side of the grating layer translates the former diffracted sub-pulse along the negative time axis, and the translation is proportional to the total thickness of buffer layers placed on the right side of it, whereas the buffer layers placed on the left side of the grating layer has no effect on the diffracted sub-pulse. We also give explanations of these phenomena based on the diffraction efficiency of the grating layers and the phase shift of the buffer layers. National Natural Science Foundation of China (Nos. 61735010, 11674213, 11574195, 11774220).